16*, 195 p., 78 ill. (11 colored), Leinen mit Schutzumschlag, 17,0 x 24,5 cm. Raoul Hausmann was a central figure in Berlin Dadaism and had a decisive influence on the development of art in the 20th century. His comprehensive artistic and theoretical works ranged from sculpture and painting to literature and photography and mythology. 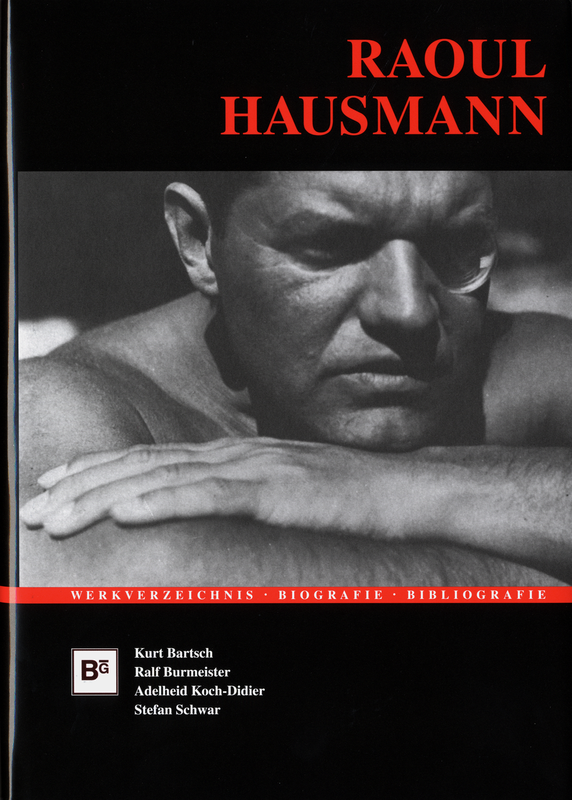 Raoul Hausmann’s literary estate, covering several thousand pages, is located in the Berlinischen Galerie as well as in the Musée départemental d’art contemporain de Rochechouart (France). The volume contains both catalogues of the estate, published here for the first time, along with a detailed overview of the artist’s works, a brief biographical outline and a comprehensive bibliography. Es ist ein Verdienst dieses Bandes, mit subtilen Einführungstexten und einer sorgfältigen Bibliographie für die weitere Beschäftigung mit Figur und Werk Raoul Hausmanns alle notwendigen Handreichungen zur Verfügung zu stellen.